Recognised in 1962, ' today the protected designation of origin AOC ALSACE represents ' over 70% of the production including 90% of white wines. In 2011, 'AOC ALSACE was supplemented with two geographical names: the Communales (villages) and the "Lieux-dits (localities)." 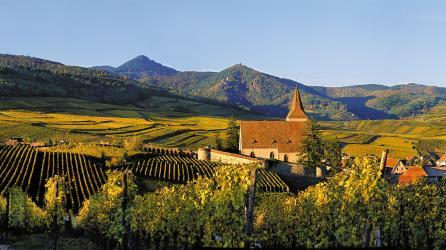 Established in 1976, 'AOC CRÉMANT D'ALSACE represents a quarter of the Vins d'Alsace production. 51 terroirs classified according to the strict geographical and climatic criteria, compose the mosaic of Alsace Grands Crus. These lieux-dits were recognised in 2011 as being distinct appellations, as up until then they had been categorised collectively in the AOC Alsace Grand Cru. Wines made from these exceptional terroirs represent nearly 5% of the total production of the wine-growing area. Since 1984, the classification of Vendanges Tardives on wine bottles designates great sweet wines made from grapes picked when over-ripe. 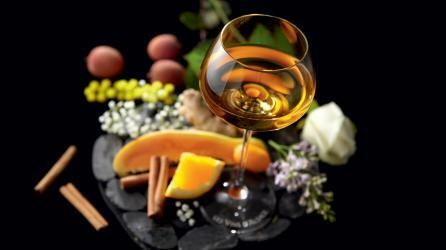 This can be added to labels of Alsace or Alsace Grands Crus appellations.